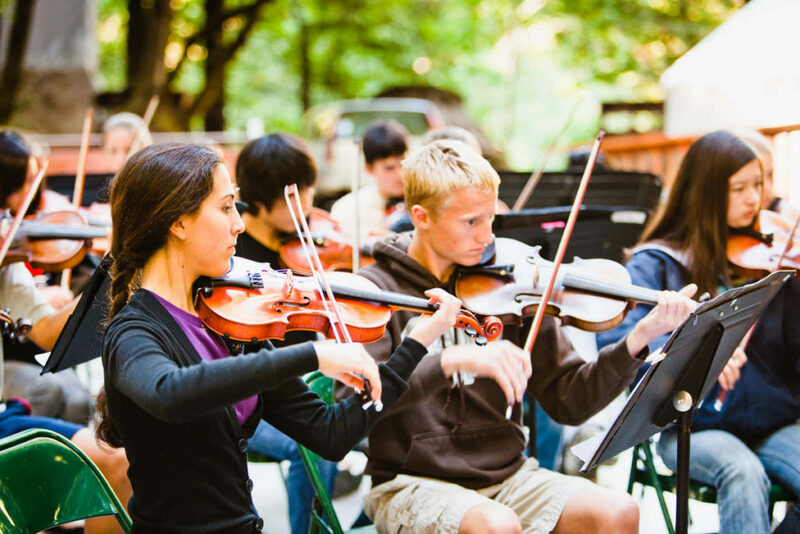 Cazadero is committed to making our program accessible to aspiring young musicians from all backgrounds, regardless of their financial circumstances. 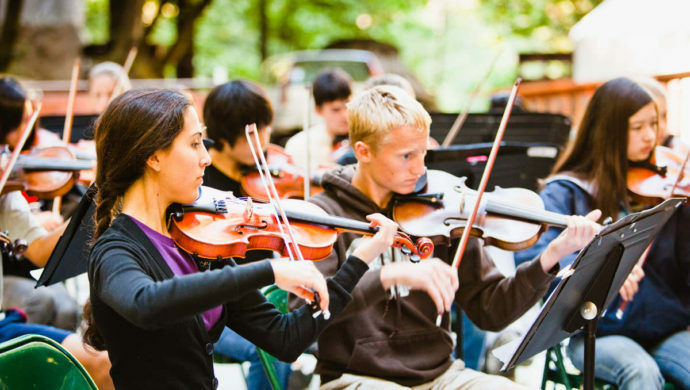 Cazadero awards scholarships based on financial need and musical merit. Scholarship awards range from 25% to 75% of the program fee, with an average level just under 50%. In rare circumstances a larger award is given when there is exceptional financial need. For more than a decade Cazadero has awarded financial assistance to roughly 20% of our campers. To apply for a scholarship complete the Registration Form. Include a Scholarship Application or check the box to request a Scholarship Application. Enclose a $160 deposit plus $40 application fee (This deposit of $200 is fully refundable if your child is unable to attend because he/she he does not receive adequate financial assistance.) Scholarship applicants are required to submit an audition and the parent or guardian’s most recent tax return and other proof of income. For details please see the Scholarship Application.